2015 was an eventful year for us. Having recently turned the mature age of 25 years old we celebrated the whole year... because that’s the mature thing to do. 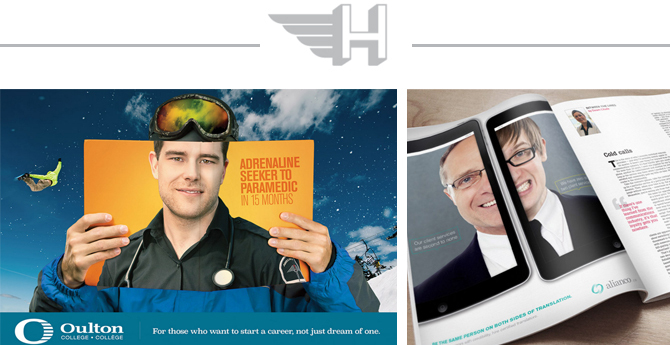 Aside from recognizing ourselves, Hermes Creative awarded us two medals for our work in Nova Scotia with Alianco and Oulton Collage. 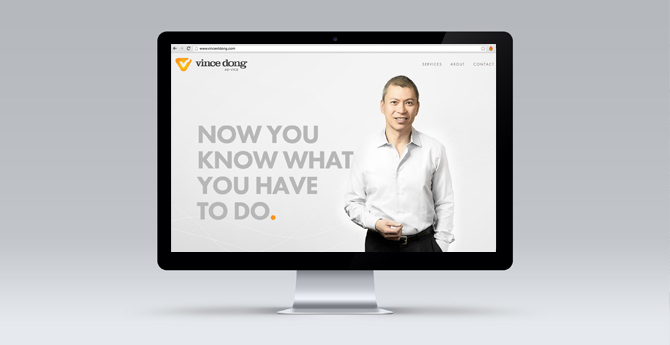 We met new clients in Edmonton–Blackstone Mechanical, Edmonton Society for Christian Education, Dutch Delicious Bakery – and affirmed our love for Toronto accountant extraordinaire Vince Dong with his new brand and website. Some of us pulled an all nighter in Montreal to supervise printing of the Yukon Vacation Planner. Back in the territory, we met new clients too—Yukon First Nations Culture & Tourism Association, Skills Canada Yukon, Thomson Hypnotherapy, Association franco-yukonnaise, Evolve Tattoo Removal, and the good SWAP folks at the City. 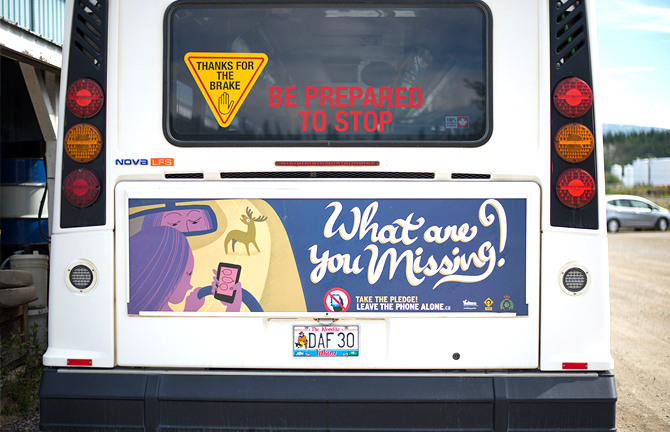 Then we got creative with Yukon Highways and Public Works road safety initiatives. 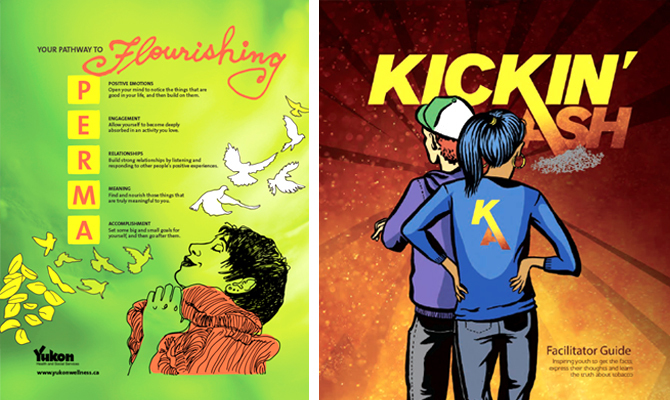 We Kicked some Ash, Flourished, found the new quit Path and spread the word for Health and Social Services about testing for sexually transmitted infections – #NBD, right? 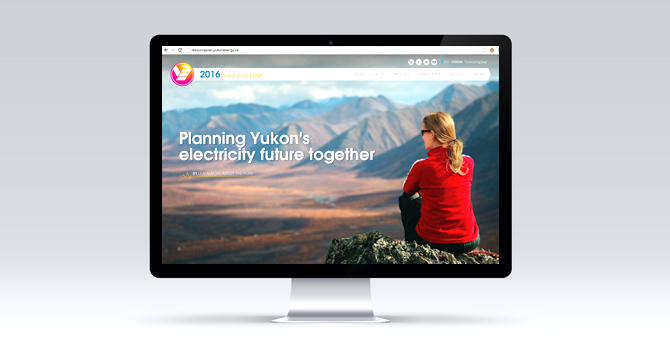 We helped Yukon Energy distribute information about the Southern Lakes, the new LNG plant, the 20-year Resource Plan and how to collaborate with you on their long term plans. 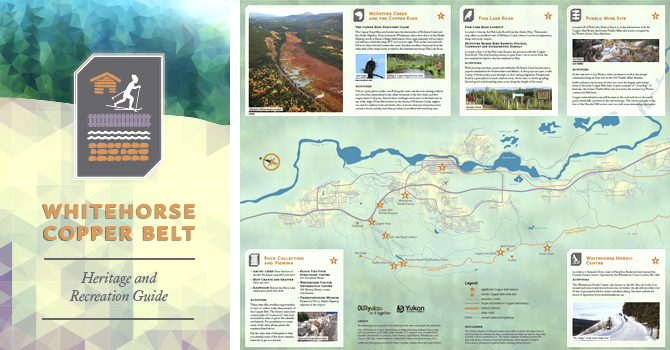 And we likely mailed you a big ol’ map of Whitehorse for your exploratory enjoyment of our mining heritage, compliments of Yukon Chamber of Mines. It’s been a good year for giving back too – we added the Lights Out Basketball tournament as one of our sponsorship recipients and continue to love sponsoring the Yukon Beer Festival, Little Footprints Big Steps and Mount Sima– thanks for the Christmas party. Last but not least, it wouldn’t be an aasman year without a half dozen major life changes! In 2015 we welcomed one new baby girl, one marriage, one masters degree, two international moves, and one whopping (semi) retirement! 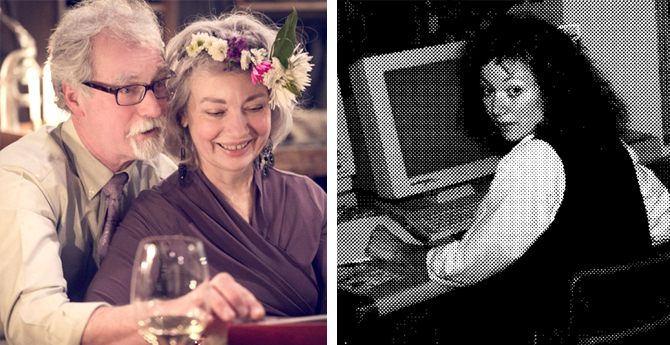 After 25 years, we sure do miss seeing Margriet each day in the office, but she’s there for the parties and when we need her talents. Thank you to our clients near and far for a fabulous year. Twenty-sixteen – bring it on, we’re ready for you! Man that was a good year… I miss it already… Nicely done Eleanor! Wow! An accomplishment to sum it up so nicely. Aasman is all about the creative people that show up everyday, and the clients that like to push the envelope with them! Even though I’m kind of retired I love coming into the office and brushing shoulders with you all! So excited to see what you do in 2016! !